On Easter day, when the Writing Pro, who has been mentioned in the cryptic story of the ruined house, visited Cochin with his photographer friend from Bihar, I was also asked to accompany, to help them with my knowledge of the local areas in the process of collecting beautiful colonial visuals of Fort Cochin. Delighted of having an easy Sunday evening ride through the otherwise crowded areas, I enthusiastically rode my ‘sincere bike’ with ease, singing to myself a tune which I found melodious. Seeing a petrol bunk at side, I immediately thought of my bike’s decreasing fuel level, and thus straightly rushed towards the staff there and asked him to add some fuel. 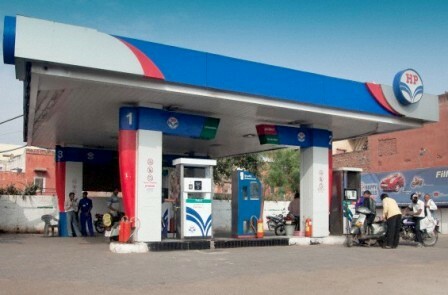 “How many kilometers from here to Fort Cochin?,” I inquired pretending to be a first time visitor of the place, while he poured petrol to my fuel tank. It was at this juncture, this particular person, with a familiar face and with a friendly smile approached me in a sudden as if he was appeared from nowhere! With a sociable tap on my shoulder, he asked me, with no introduction, or even without an excuse-me, some money; ten rupees exactly. I could’nt say ‘no’, at least for some seconds, because his smile was so friendly and convincing. Ten rupee is not a big amount, how many rupee notes had I burnt in smokes and how much money had I spent for buying worthless fried junk items, I thought. He murmured and tried to give me some vague answers, like, ‘it is urgent,”, “they are fined” and he even said, “he has no time to explain why he wants money”. I raised my head and suddenly looked at his face, and I noticed curiously that with the clean shaven appearance, his face almost looked like that of a fully grown swine. “Sir, we are law college students and we are penalized. Just give me rupees ten,” he pleaded but without losing his friendly charm. “Law college student? An aged one like you?” I didn’t ask. That was my soliloquy. Since he said ‘we’, I looked around him to see the rest of the gang, but with no success. What I saw was a car parked at a distance close to the air-filling machine. In the car, I saw a woman and a small child. In front of the car, a gentleman was giving instructions to the staff at the pump to fill up the tyres. Curiously I saw, all those people were keenly watching me. Did that woman show some gestures? I looked again and she again said me secretively using gestures, “don’t give him money”. The piggy faced man asked me again about giving him what he asked. I smiled and said, “No man, no money. I am also a penniless one just like you,” and drove my bike away. I am thinking about closing this post with a typical Chandrika Shubham style of question regarding the person’s identity. But, my inherent curious mindset urges me to fill the missing links using my own intellect. Here is my salute to the master of deductions, Guruji Mr. Sherlock Holmes, and let me start my conclusions. The piggy faced man is a dependent of the couple in the car. From the woman’s close resemblance to the man, what I deduce is that they are siblings. (and of course, her face was not swine like). The pseudo law college student is a good for nothing guy, he earns nothing, but spends lavishly. I seriously suspect that he asked his sister some money for a cigarette or some refreshments, (cigarette is more likely, because he asked me ten rupee). Evidently, she might have denied his request. He wanted to revenge them and wanted to make them feel humiliated. If her brother begs for small amounts of money at the street, it would indeed bring shame to the family. So, he approached the first simpleton he met on the street, and asked money. Though initially persuaded, later when I proved myself not a simpleton, contrary to my common appearance, the curtain falls, and the story comes to an end. The title is the result of a fruitless attempt to imitate the way the ever green Sherlock Holmes tales were titled. 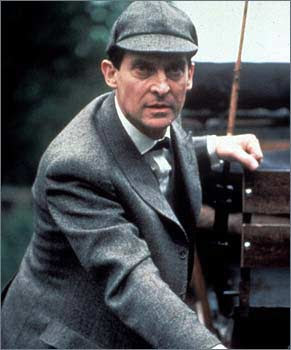 In Last Picture: Actor Jeremy Brett as Sherlock Holmes. That Rs 10/- could have given you a better ending to the story! Simpletons are of no use, adventure produces results- at times bad though! Very strange the way he behaved. I face this situation almost on a regular basis.When I go for shopping at weekends,the parking lot would be crowded.When I open the door to get in,someone would appear out of nowhere asking for help. They all have some stories to say,like losing the job or not getting paid and so on. But yours is a different story.Your guesswork is probably right. I like your title, and, no, you are not a simpleton. You were very perceptive to notice the woman gesturing to you. A simpleton would have been absolutely clueless. Great detective work! Gud one. Enjoyed reading it. Strange! I thought of commenting bcoz I had a similar experience as well in a Petrol Pump in Kollam. We were filling up a tank and someone just came over and whispered into my ear to give him Rs.10 if I had, and he'd be so thankful. Hmm... Strange incident. Nice deductions. I love the style. Sherlock Holmes is my fav too. have a safe journey god bless you. Thanks rekha. SO u also have same kind f experiences?